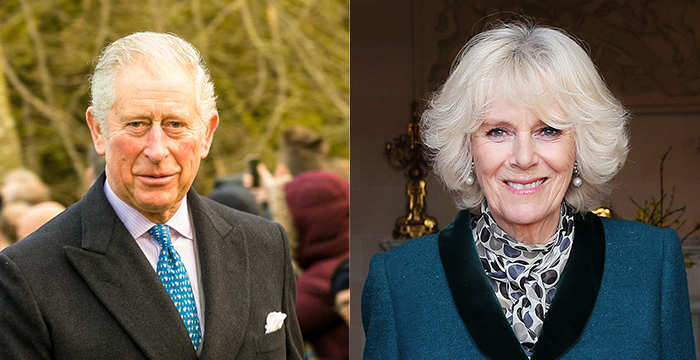 Prince Charles and Camilla, Duchess of Cornwall, popped into the Supreme Court this afternoon, as it gears up to celebrate its tenth birthday. In a video released by Clarence House, the Royal couple’s official London residence, Charles and Camilla can be seen making their way through the Supreme Court’s foyer, escorted by president Lady Hale and deputy president Lord Reed. It would appear on this occasion the top court’s airport-style security screening was waived. As well as meeting some of the justices, the couple chatted to the court’s registrars, ushers, clerks and guides. Historically, the Supreme Court replaced the Appellate Committee of the House of Lords as the UK’s highest court in October 2009. Housed within the former Middlesex Guildhall, in Parliament Square, Westminster, the court was established to achieve complete separation between the senior judiciary and the government. It is home to 12 justices who are appointed by the Queen on the advice of the Prime Minister and Lord Chancellor, who in turn receive recommendations from a selection committee. The Royal visit comes just 24 hours after the Supreme Court revealed it was on the hunt for up to 11 new judicial assistants. The roles, which last around ten months and come with an annual salary of £36,266, involve a range of duties, including summarising applications for permission to appeal, conducting research on points of appeal, and discussing relevant legal issues with justices. Unfortunately, you must be a UK qualified lawyer to apply. Applications close on 20 March. When will this stop being news? We all know parliament is sovereign and Dicey’s three ideas are still in existence. But I thought the EU had all the power? And that we’re taking back control?! What’s this about sovereignty you say!?!? The Daily Mail told me that soon I’ll have to ask Brussels for permission to water my cabbages!!! Aye. He/she made a dog’s Brexit out of that. Just in time Tony we leave Europe and are judged supreme! Whose idea was it then? can’t have you taking all the credit now can we! perhaps it came from Cheryl and you were just doing as you were told! !